In the early 1980's, Crumb worked as an art and layout editor for an environmental monthly newspaper called Winds of Change (Davis, Yolo County, California). Although the job proved to be tedious and restricting, it did educate him about the realities of Agri-Business and other ecological issues that have become more mainstream since. In 1983, Crumb did a small illustration of Mr. Natural watering the "Caring Tree." The image possibly resonates more strongly today–35 years later–than when he drew it. 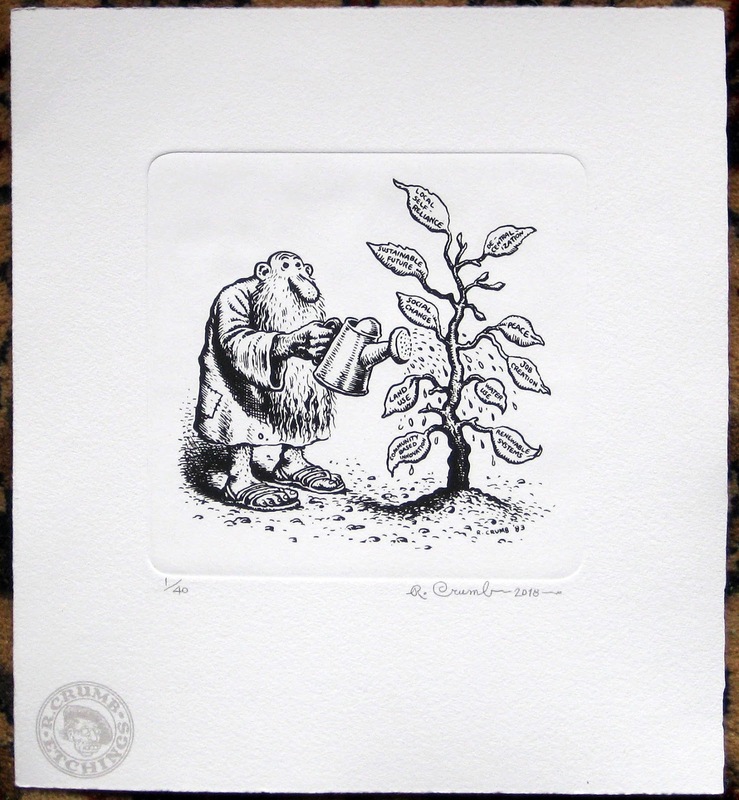 The edition is 40 pieces, with 6 artist proofs and 3 printer proofs. The paper size is 10" x11". The embossed area is 6" x 6". The image size is 5" x 5". Each print is numbered, signed and dated by Robert. There are no customized signatures. Release Date: Monday, January 22.